Art and harmony generating clean energy. The Land Art Generator Initiative has shown the world that creating clean energy can be combined with art. November 18, 2014—The Land Art Generator Initiative was founded by Elizabeth Monoian and Robert Ferry in 2010. In 2008, they went to Dubai and found it to be one of the least sustainable cities in the world. They began brainstorming, looking around at all the natural resources available in Dubai that had possibilities for creating clean energy. They decided to combine art with sustainable energy and attract innovative people from around the world to take part in a yearly contest. Monoian and Ferry reached out to artists, architects, scientists and engineers to create art that produced sustainable energy and was environmentally friendly. This art would work towards solving today’s energy problems and would be educational to the public. They wanted projects submitted that were “Useful Solution Based Art.”, useful in reducing the CO2 levels in our atmosphere and in harmony with the earth. The end result was the formation of the LAGI organization–The Land Art Generator Initiative. The creative teams submitting the entries would capture energy from nature and convert it into electricity. The designs would transform and transmit the electrical power to a grid connection point, supplying homes in a nearby city with electricity. They also wanted the designs submitted to create educational opportunities and be safe for the viewing public. Would they get any entries? They put the word out and recieved hundreds! They felt like it was Christmas as they poured over the submissions of public art that would supply electricity to the cities and generate tourism. Art can be combined with the generation of clean energy. 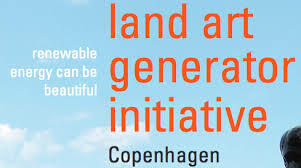 The 2014 contest was held in Copenhagen and The Land Art Generator Initiative recieved 300 designs from 55 countries. 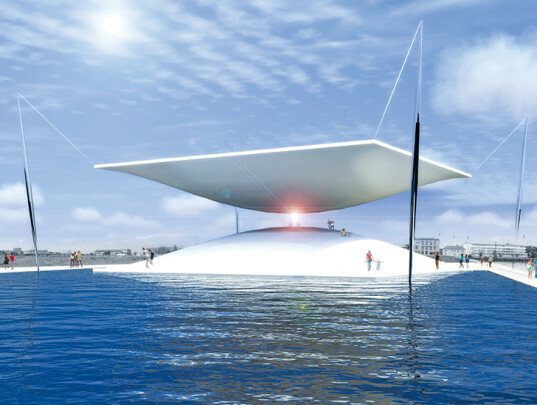 The winner was a design called “The Solar Hourglass” by Santiago Muros Cortes of Argentina. The upper dish of the hour glass is made up of heliostat tracking mirrors, which turn as they keep reflecting the sunlight as the earth moves around the sun. The Solar Hourglass reflects the solar heat onto mirrors which concentrate the reflections and shoot them down the neck for storage. The lower dish contains energy generation and storage equipment. This design, when built, will provide enough electricity for 860 homes and be constructed from recycled steel and aluminum. Categories: Building Green, Energy Programs, Renewable Resources | Tags: Art and Renewable Resources, Renewable Energy Education, The Land Art Generator Initiative | Permalink.